Prepare for ‘A Little Night Music’ this winter when one of the world’s most acclaimed orchestras takes to The Joan stage. 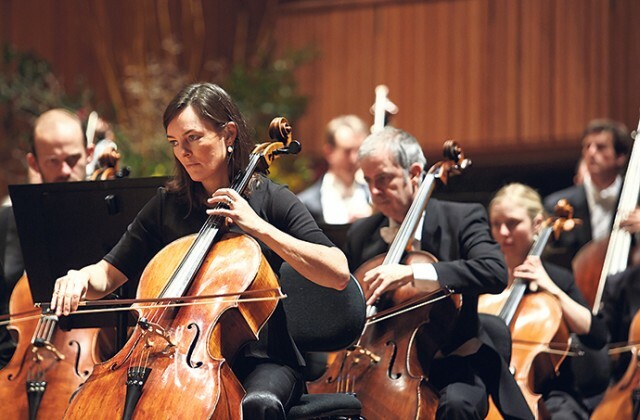 The Sydney Symphony Orchestra will be heading to Penrith for a very special evening of classical music, starting with Mozart’s ‘Eine kleine Nachtmusik’. This varied and rich musical experience will include Schoenberg’s ‘Transfigured Night’ and Britten’s ‘Les Illuminations’, before closing with Mozart’s wickedly humourous ‘Night-time Serenade’. The Sydney Symphony Orchestra has received global recognition for its musicianship and captivating performances. The orchestra has collaborated with iconic figures including Igor Stravinksy and Sir Thomas Beecham. Before the show audiences will have the chance to enjoy The Joan’s ‘Friday Night Lights’, a free pop-up music lounge showcasing the talents of local musicians. It’s not often that the Sydney Symphony Orchestra comes to town so if you’re a classical music fan grab your tickets to this truly incredible show now! Mozart at Night will be on at The Joan on Friday, June 3 at 8pm. Tickets are $65-$70. For more information or to purchase a ticket, visit www.thejoan.com.au or call 4723 7600.